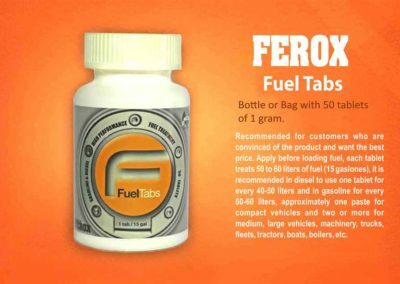 In internal combustion engines, Ferox fuel Tabs eliminates and prevents carbon deposits reduces friction, improves fuel injection and reduces oil and spark pollution, with all these benefits maintenance periods can be lengthened Generating a savings. 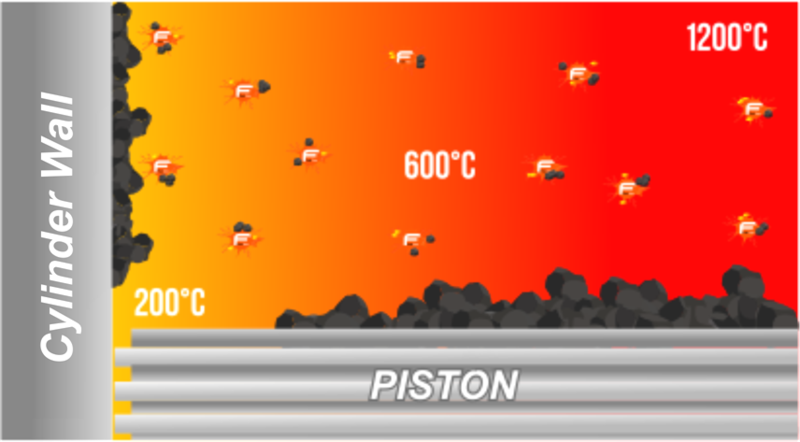 Less fuel is required to produce the same mechanical power. Less fuel is left unburned and the time of combustion is advanced to the moment when the liberated energy can be captured and used. 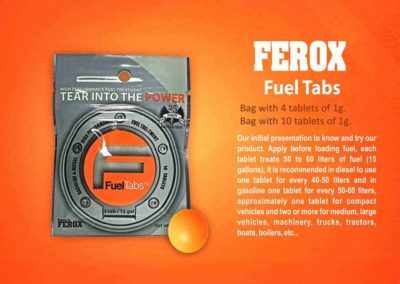 Ferox Fuel Tabs generates more power with less effort. Ferox Fuel Tabs helps to better combustion. Reduces soot and smoke. The reduction of particle emissions results in the reduction of accumulation of negative pressure, providing new increases in efficiency. 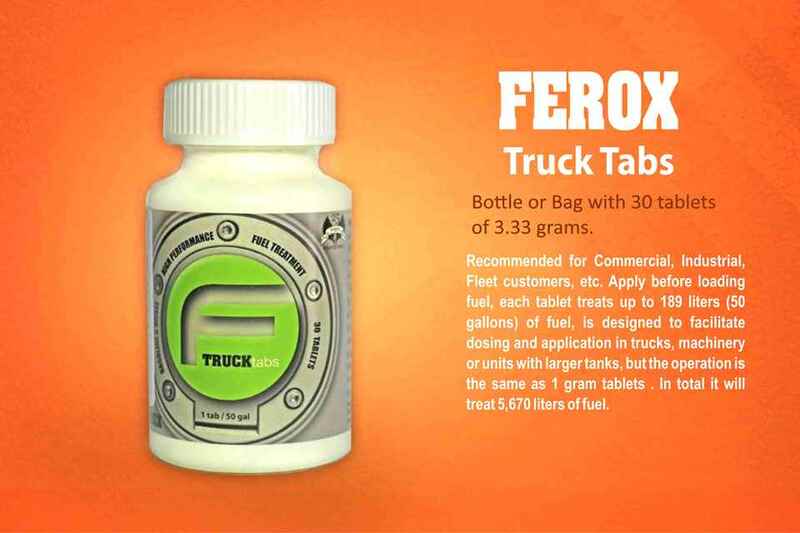 It increases mileage up to 20% or more in gasoline and up to 15% or more in diesel. 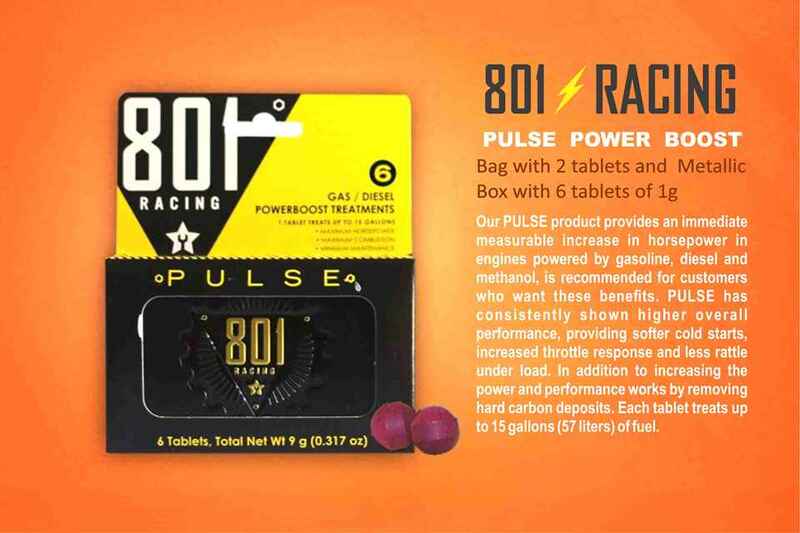 Reduces the need to use higher octane fuel so you can start using regular gasoline immediately instead of Premium, with the same performance. 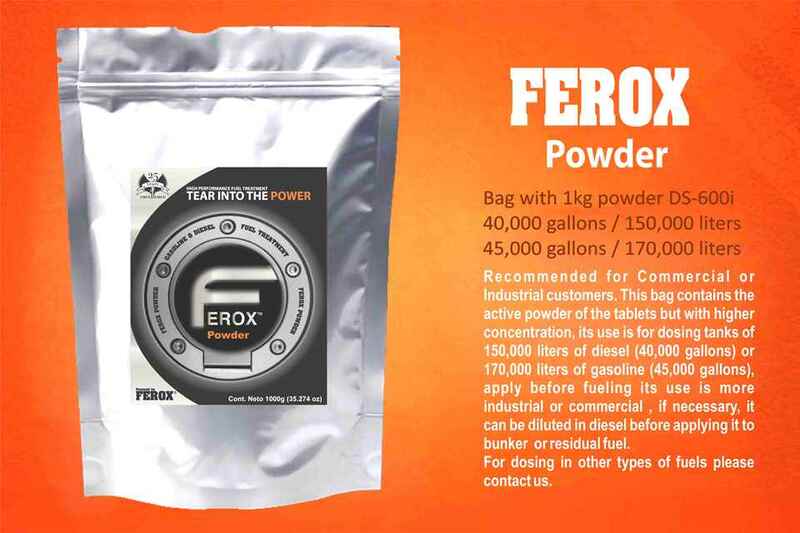 It cleans the engines of carbon particles, main cause of the fault or malfunction of injectors and catalysts. 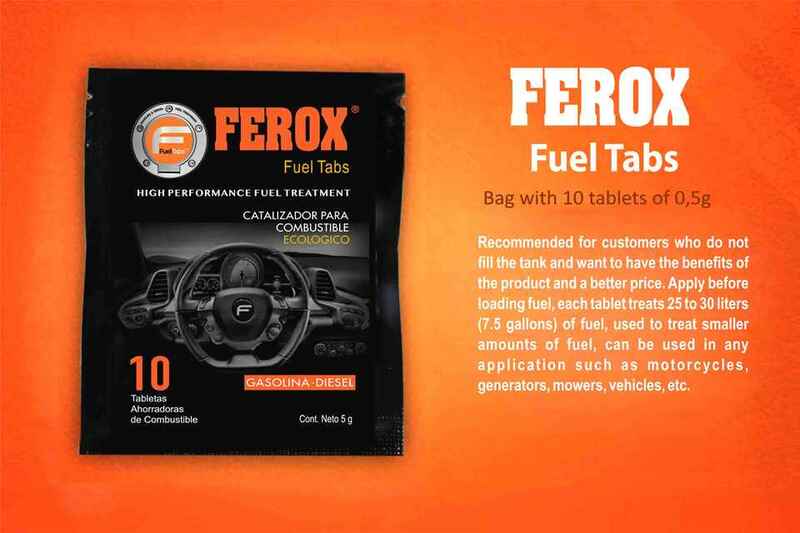 Reduces engine wear by removing carbon and chamber deposits. 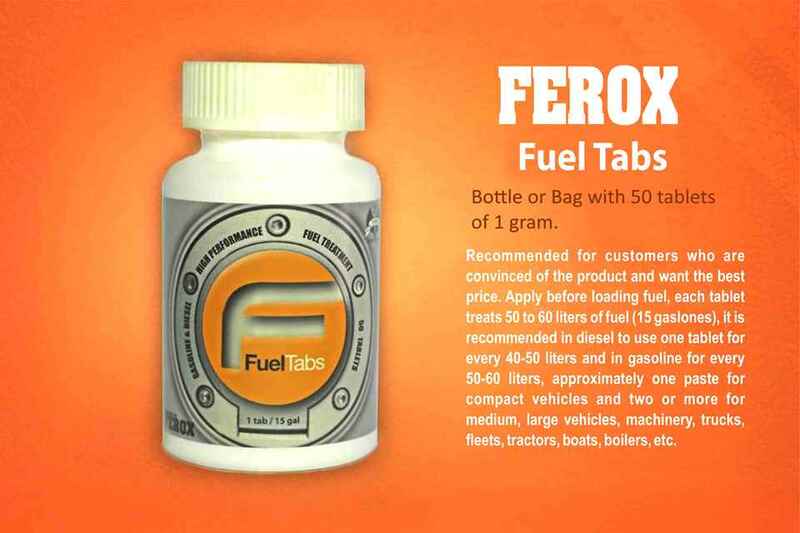 Extends the life of the oil, spark plugs and filters. Our patented fuel tablets are completely dissolved in minutes without leaving residue. 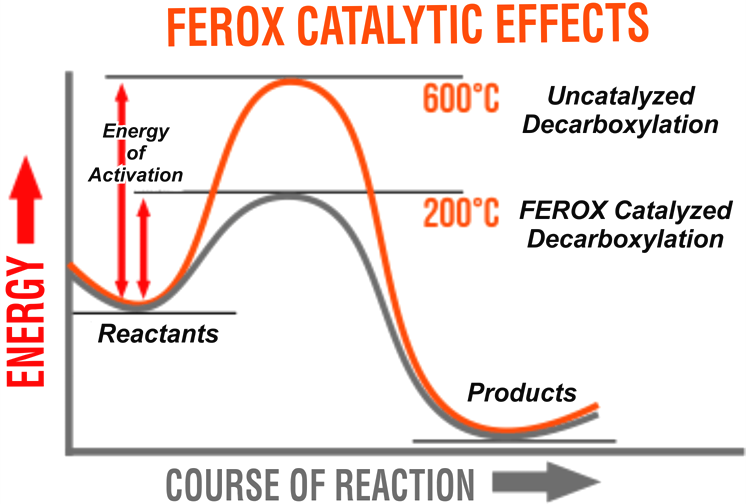 A typical engine develops a temperature curve that goes from 200 °c in the cylinder walls to 1200 °c in the center of the combustion chamber and many of the components of the fuels require a temperature higher than 600 °c for optimum combustion , the treatment of fuel with Ferox works by modifying the activation or combustion energy of the fuel molecules (catalytic effect) thereby accelerating and burning more fuel molecules at lower temperatures, as low as 200 °c. 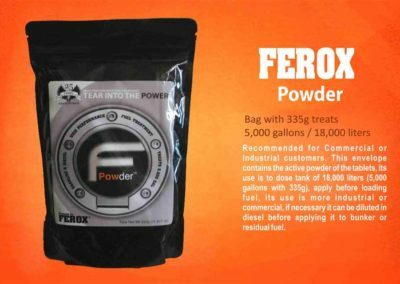 This allows a more complete combustion of the fuel obtaining all its energy and the elimination of the carbon particles when they expose them to a higher temperature, as well as the inhibition or increase of new coal deposits. All this leads to lower emissions of CO, SOx, NOx, HC and PM10, obtaining lower fuel consumption, better operation and lower maintenance costs. The continuous use of this technology allows to maintain the factory performance of the motors. In this way, users protect the most critical parts such as valves, injectors and combustion chambers from harmful deposits. 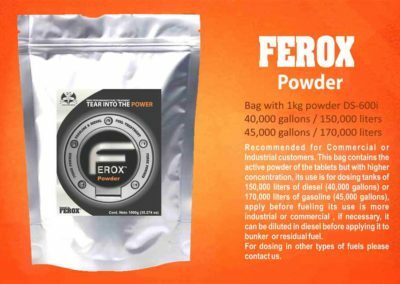 The use of the Ferox product has benefited us by having a significant savings in the consumption of gasoline and Diesel of our units that we use at work. 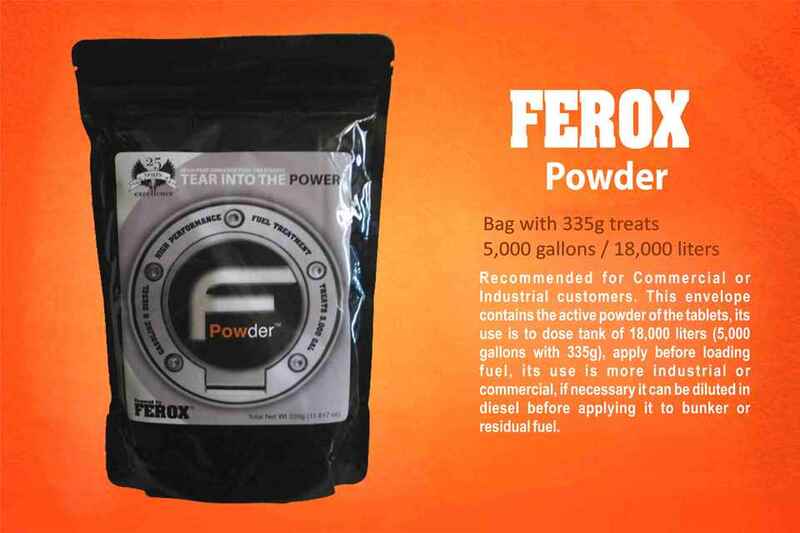 For the last 10 months, we were looking to reduce fuel consumption. 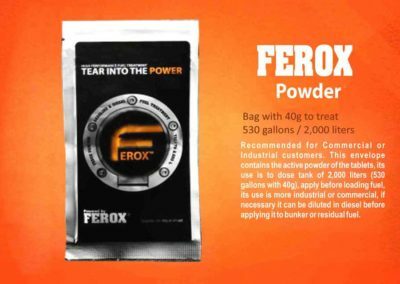 On the recommendation of a well-known we started to use Ferox in company cars. To this day we have observed that the yield exceeds 15%. 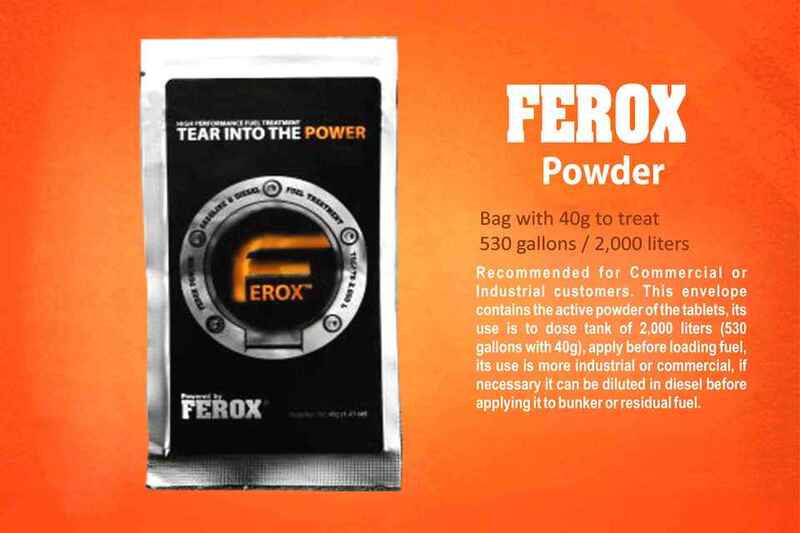 From the year 2010 we started using FEROX in our work units. 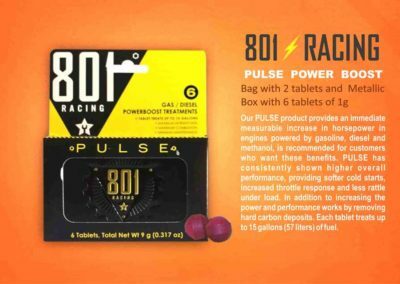 With prolonged use we have noticed that the results are very positive, as the fuel economy and engine power is notorious. 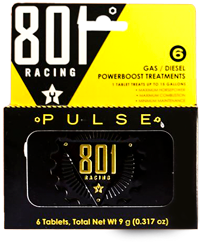 Increases the power in any MOTOR car with gasoline, DIESEL, ethanol, methanol, ETC. 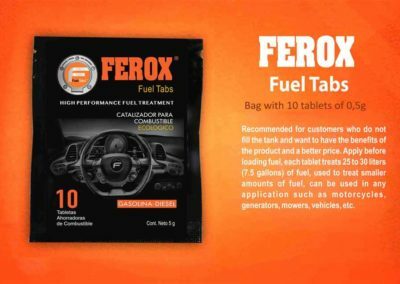 Where to buy FEROX FUEL TABS?